Banksy needs no introduction and until know he has remained an unknown figure in the urban, contemporary art scene. Some people actually spend real time trying to find out who the guy is. As much as it would be interesting to know, isn’t it more intriguing not to know? Whatever the answer this is what UK paper The Daily Mail is claiming: Banksy is Robert ‘3D’ Del Naja, founding member of UK band Massive Attack! 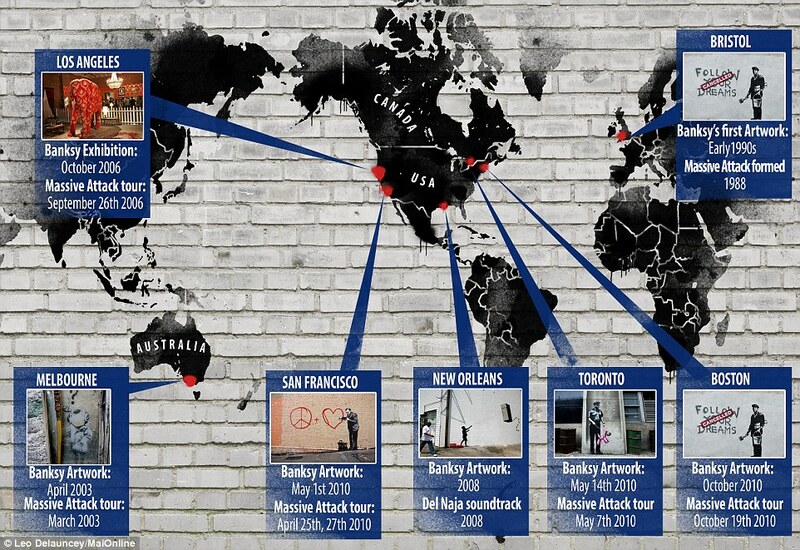 The evidence being the link to Massive Attack tour dates and Banksy works appearing in the same locations. Or you can just ignore the claims and appreciate the work.